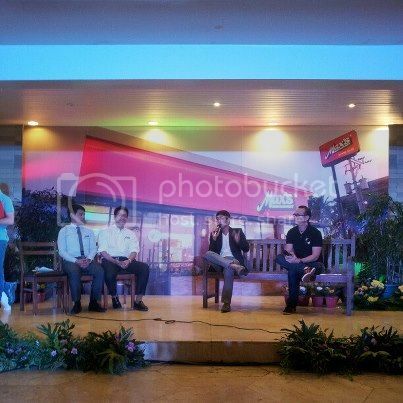 I took some time out of my busy work schedule last Tuesday to attend the press conference of Coco Martin at Max’s Restaurant Scout Tuazon branch. 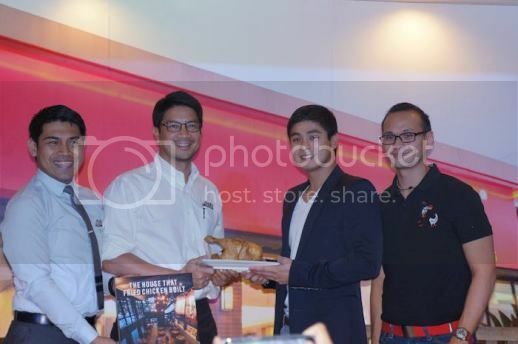 Coco Martin is Max’s Restaurant’s newest brand ambassador. With Coco’s boyish charm and youthful personality, Max’s will surely capture the younger and most adventurous niche of Filipino diners. Not many people know that Coco worked as a young server at Max’s Fairview in 2001 before he became an actor. His work experience at Max’s has actually paved the way for this unassuming talent to be discovered. While he was busy serving Max’s delicious home-cooked dishes to diners, one of Coco’s customers, who happened to be Johnny Manahan’s assistant director, gave him his calling card and invited Coco to audition for Star Circle Batch 9. However, Coco heeded his lola’s advice to prioritize his studies over show business. He finished his degree in hotel and restaurant management first before entering the film industry as an actor. It was not an instant journey to fame for Coco, though; it took a long time before his acting talent was noticed, but he did not lose heart. His persistence proved to one and all that good things come to those who wait. “We saw in Coco a great Filipino story of perseverance and hope with which Max’s was also built on. We see a great connection between Max’s and Coco and that’s why we believe we have found the perfect partner for Max’s,” added Caper. Award-winning director Brillante Mendoza filmed Max’s latest TV commercial featuring Coco Martin. Max’s TV commercial opens with Coco, casually talking about his life journey, while sumptuous images of his favorite Max’s meals dramatically invade the senses. In this commercial, Coco recounts the challenges that he had to overcome as an actor and the path he chose to achieve success. “Hard work reaps its benefits. This is the parallelism between Coco Martin and Max’s. 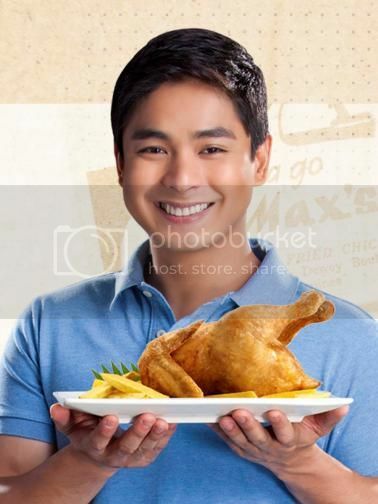 We believe that just as Max’s sarap to the bones fried chicken is the perfect pair to any occasion, Coco Martin is also the perfect match for Max’s,” said Caper. *Many thanks to Sammy Tan for some of the pictures I used in this blog post. This entry was posted in Coco Martin, Max's Restaurant, Press Conference. Bookmark the permalink. ang cute lang ni Coco Martin! Coco Martin is my favorite! my little man called him kuya for some reasons! 🙂 i think he is a perfect brand endorser for max’s as he exhibits excellence in his work, getting all the awards and the accolades, but still remains sincere and humble!